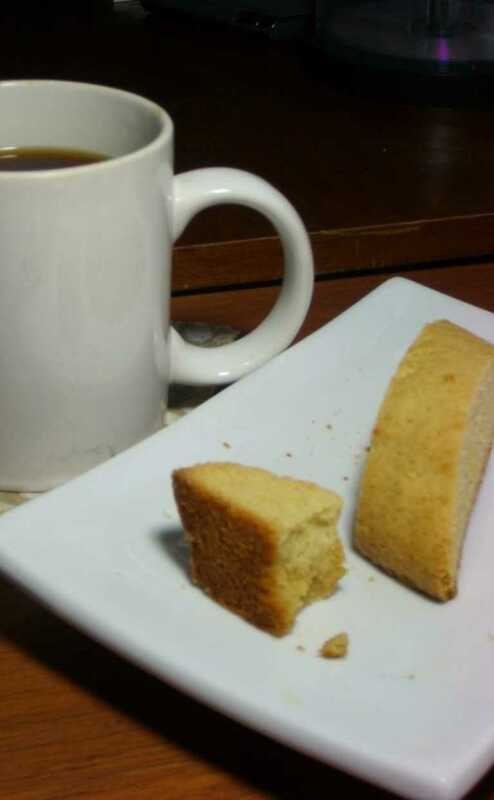 Not exactly a traditional biscotti - but tremendously tasty in your morning (and afternoon, and evening) coffee. Whip sugar and vegetable oil until very well combined. Gradually add eggs, vanilla and orange zest, beating well after each addition. Mixture will thicken and become very smooth. Combine remaining dry ingredients in a separate bowl, then stir into egg mixture. Mix well, but not excessively. With wet hands, form each half into a log, about 2" shorter than the length of your pan and 2 1/2" wide. Bake until well golden, about 25-30 minutes. Turn oven down to 250ºF. Cool logs until you can comfortably handle them. Slice on a bias, about 1.5" wide. Lay cut-side up on a baking pan and bake again for 40 minutes. After 40 minutes, turn oven off and leave cookies inside to cool. .pdf version // more recipes like this @ food. according to me.